Hey everybody! 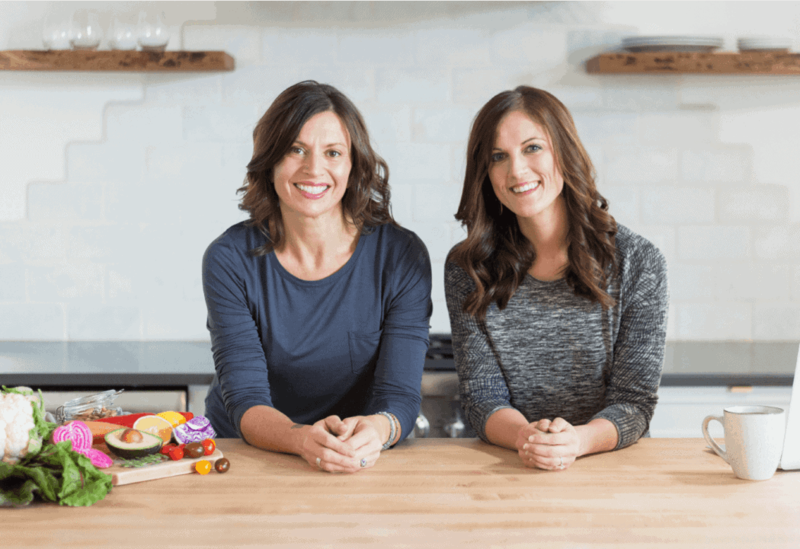 Today we’re taking a break from our regularly scheduled recipes to talk about the best foods for growing new humans. 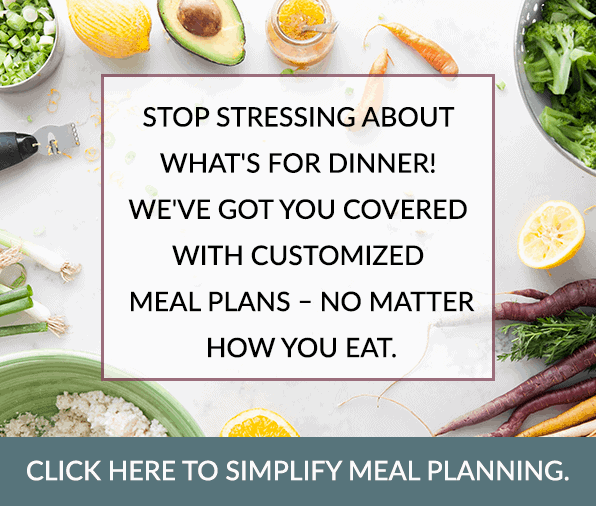 Whether you’re pregnant, planning to be pregnant or just need to improve your nutrition a bit – this article promises to offer up some valuable nutrition nuggets. 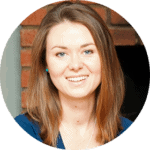 About Lily: Lily Nichols is a long-time friend and fellow real food Registered Dietitian. 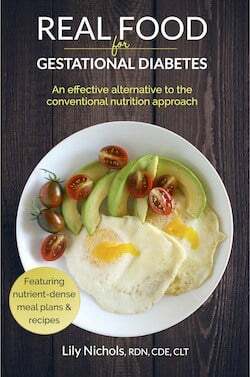 Lily is a Certified Diabetes Educator and the best-selling author of Real Food for Gestational Diabetes. She’s also the mastermind and nutrition guru behind the Pilates Nutritionist and Real Food for GD websites. To top it all off, she’s also mama to the most adorbs and healthy little guy so it’s safe to say that she walks the talk when it comes to healthy eating before, during and after pregnancy. Without further ado (because we could gush about her all day) – here’s Lily! The word “superfood” isn’t my favorite. It probably makes you think of some exotic or expensive berry from far, far away. In reality, a super-food can be anything with specific nutritional benefits, as exotic as acai berries or as Plain Jane as a bunch of kale. When it comes to growing a baby, there are certain nutrients our body needs in abundance. The foods that provide these necessary building blocks have made the cut for my “Top 10 Foods for a Healthy Pregnancy” list. So while they are in a sense “super” they’re also extremely healthy and should be part of a regular diet during pregnancy. Eggs (with the yolks! 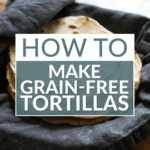 ): Tasty, easy-to-prepare, and packed with nutrition. With the exception of folks with an egg allergy, eggs should be a part of every prenatal diet. They are packed with protein, B-vitamins, choline, minerals, vitamins A, D, E, and K, and even the brain-building omega-3 fat known as DHA. I’m gonna single out choline for a moment, because it’s too often left out of the conversation on prenatal nutrition. Choline is a relative to the B-vitamins (I like to call it “folate’s long lost cousin”) that’s absolutely crucial to brain development and the prevention of neural tube defects. Sadly most pregnant women don’t consume enough of it. Unless you loooove liver (props to you if you do! ), eggs are going to be your #1 source of choline. BUT, you only find choline in the yolk, so egg-white-only omelets aren’t gonna cut it. Liver: Liver is a veritable multivitamin, boasting high levels of every B-vitamin (including folate), choline, iron, zinc, and all the fat-soluble vitamins (that’s A, D, E and K). It’s gotten a bad rap over the years because of misinformation about vitamin A being toxic, but a closer look at the evidence reveals that food-sourced vitamin A (as opposed to the fake stuff they put in supplements) is safe. Not only that, but about one third of pregnant women don’t consume nearly enough vitamin A. Most of us weren’t raised eating organ meats and sometimes the taste of liver takes a little “getting used to.” For that reason, I recommend sneaking small amounts of liver to other meat dishes, like my recipe for Indian-Spiced Stuffed Bell Peppers. Chances are, you won’t even taste it, but if you do, just consider it your iron supplement! 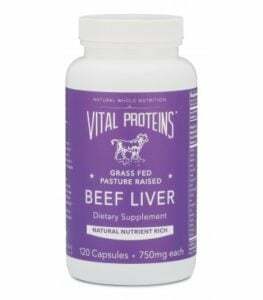 And if you still can’t stomach liver (or don’t have access to high-quality, grass-fed liver) then consider taking a liver supplement such as the one from Vital Proteins. Kale: No prenatal diet is complete without leafy greens. They are some of the richest dietary sources of folate (that’s the real stuff, not the synthetic folic acid you see in supplements). Kale is also packed with minerals, including magnesium and potassium, fiber, vitamin C, beta-carotene, and many antioxidants. 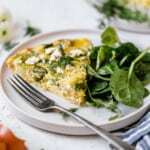 Add some sauteed kale to your morning omelet, nosh on marinated kale salads, and throw a handful in a comforting bowl of soup. Fun factoid: The word folate comes from the word foliage, meaning leaves. Cool, huh? Wild Salmon: Omega-3 fats have gotten more attention in recent years for their important role in brain and vision development. The specific type that offers these benefits is called “DHA” and the number one source is fish that live in cold water, like wild salmon. It’s also naturally low in mercury, so you can safely consume it during pregnancy. If broiled or grilled salmon isn’t your thing, consider making salmon cakes or opting for salmon in your favorite tuna salad recipe. Beef Stew: You probably think beef stew is out of place in this list of superfoods, but hear me out. There’s a little known fact about slow-cooked meat that deserves our attention. 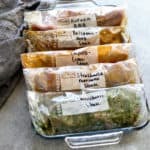 Tough cuts of meat are rich in connective tissue that breaks down over the course of long, slow cooking. This connective tissue is rich in an amino acid called glycine. It’s generally not talked about a ton in nutrition circles (although that’s changing, thankfully) because glycine is rarely something we’re deficient in. But during pregnancy, researchers have found that glycine needs far exceed normal requirements. This means pregnant women absolutely need to consume enough glycine from their diet to help not only the baby develop, but to support the growth of the uterus. Beef stew is an excellent source of glycine, as well as protein, iron, zinc, vitamin B6, and vitamin B12. Bone Broth: Like beef stew, bone broth is full of glycine. 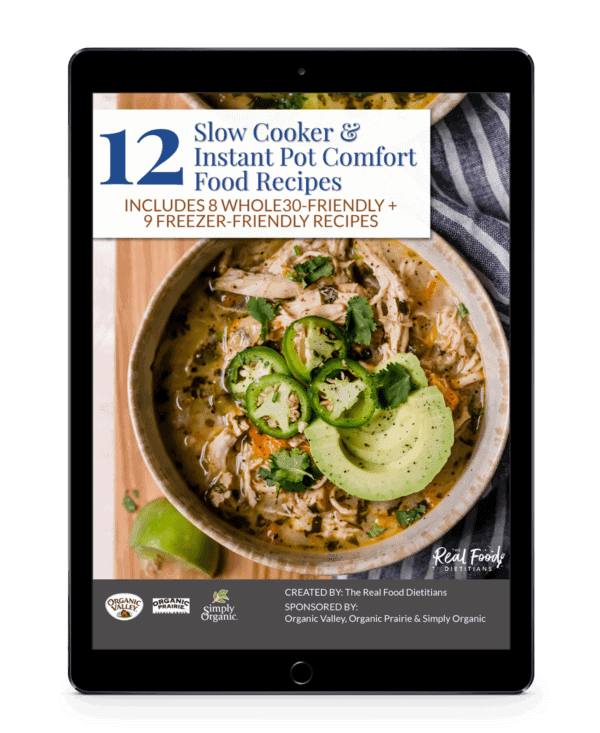 That alone is reason to pull out the stock pot or slow cooker! But bone broth is also a fantastic source of minerals, including calcium and magnesium. When you’re growing a baby, you’re also growing an entire skeleton for that tiny human. That means your body needs minerals to make it happen. If your diet doesn’t have enough, your body with “borrow” minerals from your own bones. Not ideal! Ensure you have enough minerals for the two of you by including bone broth in your diet regularly. This is especially helpful if you aren’t a fan of consuming dairy. 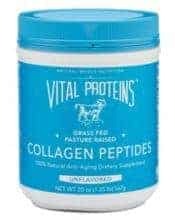 And if you just can’t or won’t do bone broth on a regular basis then adding a scoop or two of Vital Proteins Collagen Peptides to hot or cold beverages, soups, oatmeal, mashed sweet potatoes, etc. can give you the benefits of broth without the broth. Seaweed: Another odd-ball for you. Seaweed is one of the best sources of iodine in the diet, a mineral that many of us lack. Then add pregnancy to the mix, which increases iodine needs by 50%, and you can see why I just had to mention seaweed. Iodine deficiency isn’t something to take lightly, either. According to the Journal of the American Medical Association, “Iodine deficiency remains the leading cause of preventable intellectual disability worldwide.” Scary stuff. Get your fix with seaweed salad, crunchy seaweed snacks, or toss a chunk of dried kombu into your next pot of bone broth (you won’t even taste it, promise). Avocado: Pregnancy is full of ups and downs, especially in the first trimester. One way to help keep morning sickness at bay (or help manage it) is to eat food rich in vitamin B6 and potassium. Avocados happen to be rich in both, with a 1 cup portion meeting 20% of the daily value for each. 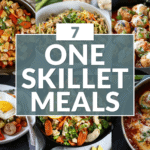 You’ll also get filling, healthy fat and a whopping 10g of fiber to boot. I give you full permission to chow down on avocados. Stuffed avocados. Guacamole. You name it, I’m for it. Sauerkraut : Thinking about taking a probiotic supplement? You might want to consider eating more fermented foods instead (or take both!). Traditional sauerkraut – the kind that’s made by fermenting salted cabbage – is mind-bogglingly rich in probiotic bacteria. Just a tablespoon of sauerkraut can deliver trillions of these “good bacteria.” Yes, I said trillions. Probiotic-rich, fermented foods are important during pregnancy because as a mom, you pass on your bacteria (often called your microbiome) to your baby. Having a healthy balance of bacteria in your body sets the stage for good digestion and a healthy immune system for your baby as well. Full-fat Kefir or Yogurt: There are a few reasons kefir and yogurt made my pregnancy superfoods list. For one, dairy is an excellent source of calcium and other minerals. When you purchase full-fat, you get the benefit of fat-soluble vitamins, which ensures you absorb all those minerals. And finally, since these two dairy products are fermented, you benefit from probiotics (and a lower level of that tough-to-digest milk sugar, lactose). Choose dairy products from grass-fed or pasture-raised animals to ensure the highest levels of fat-soluble vitamins (and because, let’s face it, it’s just way nicer for the cows). Maple Hill Farms has some great products available in many supermarkets across the country, or you can see if there’s a local dairy in your area. 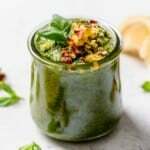 This list highlights just a few of the most nutrient-dense superfoods for pregnancy, but I assure you, a well-balanced prenatal diet includes many more foods beyond this list. Aim for variety and eat mindfully, whatever you choose to eat. 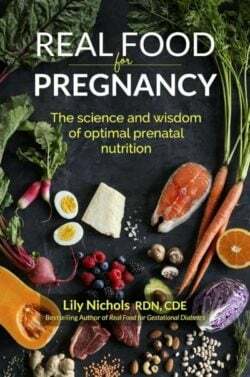 You can learn way more about my real food prenatal nutrition advice in my books, Real Food for Pregnancy and Real Food for Gestational Diabetes. 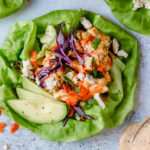 Follow Lily at PilatesNutritionist.com for super solid nutrition information and great seasonal recipes. If you are pregnant, should you take the liver capsules everyday? The full amount? Taking the liver pills would be a good alternative to fresh liver. I’d recommend talking with your health professional about an appropriate dose as each person may have different needs.